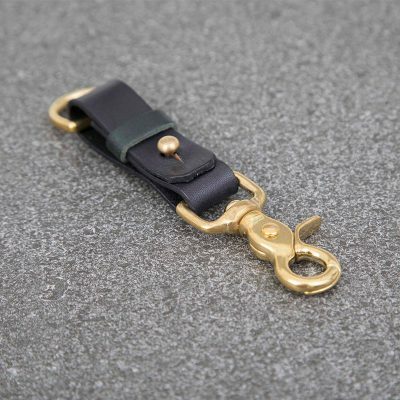 Heavy duty keyring made from vegetable tanned leather in black with moss green accent keeper. 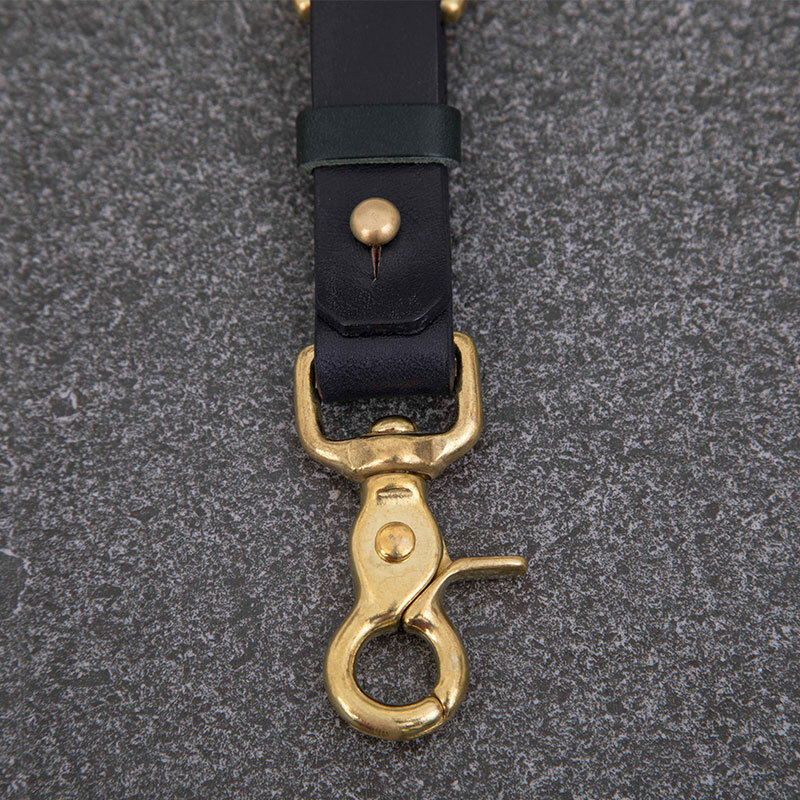 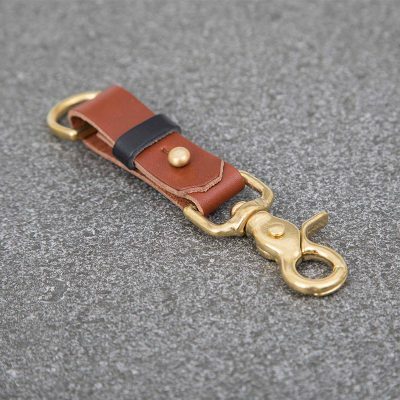 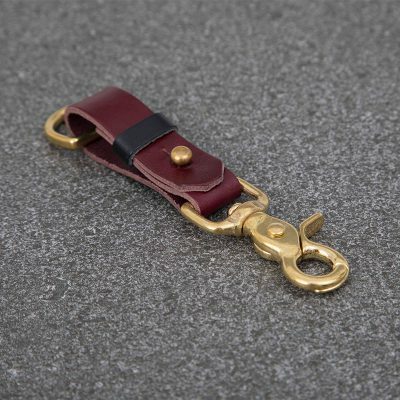 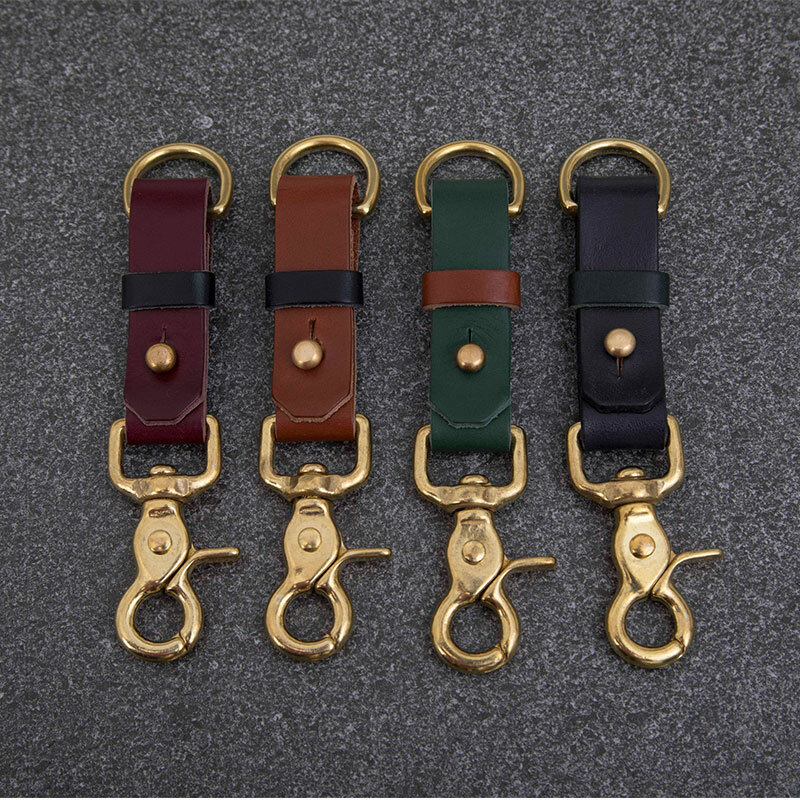 Features a solid brass swivel hook, allowing flexibility for attaching to a belt loop, secured with a Sam Browne fixing for durability and finished with a sold brass D-ring. All hardware is forged in England. 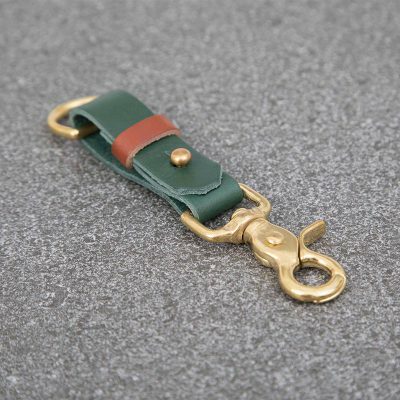 If you would like your keyring personalised with initials (2 letters) please select the option below.